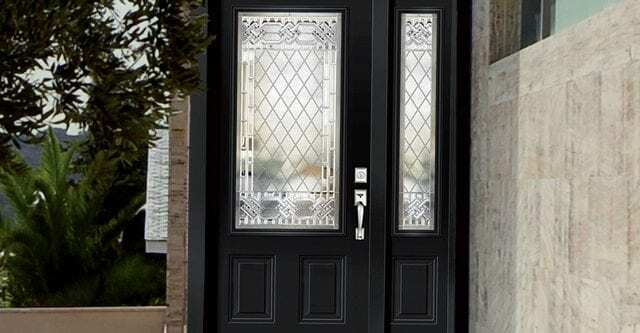 The degree of clarity or obscurity of the glass in our Trimlite Doors varies to meet the unique needs of your home. To help you make the right decision for your home, each design is photographed under controlled circumstances, allowing you to see the difference for yourself. With each photo is a number which represents the level of privacy for that particular design. Using solid metals, all our handcrafted glass panels have joints that are soldered by hand. This ensures the panels are strong enough to stand up to daily use. Our selection of fine art glass panels are hand cut and fitted so they make our designs pop. Hand-soldered metals are available in a choice of 3 different finishes, Brass, Patina, and Zinc caming. Our Brass caming features a stylish subtle glass finish. The Patina caming has a rustic black satin finish, and the Zinc caming comes with a contemporary brushed chrome appearance. Our Trimlite Doors have superior silicone foam insulation, which has low thermal conduction, excellent resistance to ultraviolet rays and tempered safety glass. This way you will have the peace of mind knowing that your entry doors are both secure and energy efficient. Brock Doors and Windows’ Trimlite Doors offer superb glass options like Cardinal Low E²-272 Glass, which offers your home superior performance. Did you know that Cardinal Low E²-272 glass is the clearest and highest performing glass available? This special glass is available in either clear or white internal grid options. Best of all, it has a patented coating that insulates your home to nearly double the rate of a typical insulated glass unit. During summer, Low E²-272 reflects the heat and destructive UV rays from the sun, and in the wintertime, it reflects heat back into your rooms. This coating keeps 84% of harmful UV rays, but it’s practically invisible to the naked eye. Toronto homes come in many shapes, sizes and designs. Whether your house is new or old, large or small, contemporary or Victorian, choosing a glass style that complements what you have is essential. 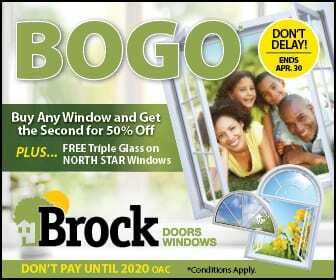 Brock’s line of Trimlite Doors takes this into account that everyone’s home is different. We offer designs in wide ranges, from simple to intricate, or clear to obscure. Our Trimlite Doors bring solid metals and textured or beveled glass unite to create real works of art. 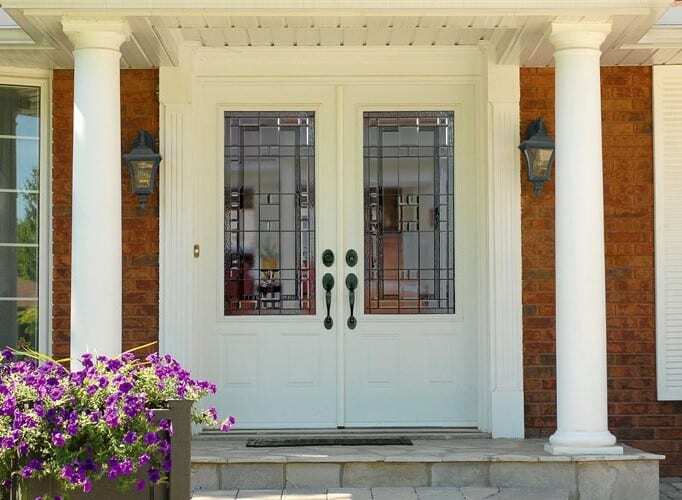 Trimlite Doors by Brock Doors and Windows will help you create a beautiful entryway that is both the focal point of your home and an energy-efficient tool that will serve your home for years to come.